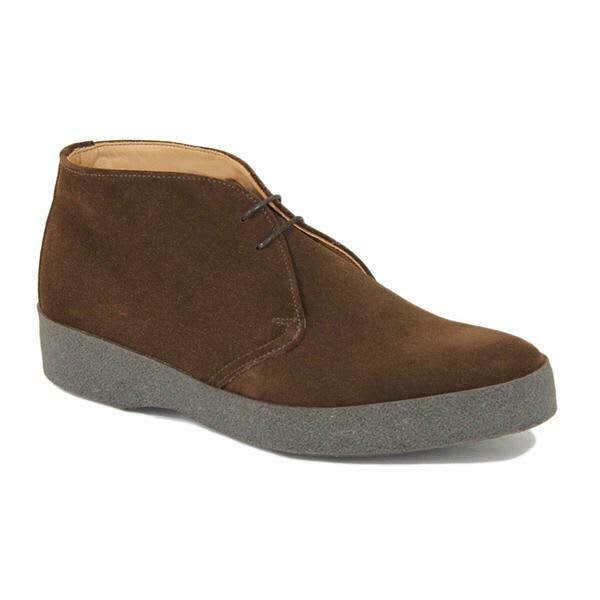 This classic Sanders Chukka Boot has a luxurious suede leather upper, full leather lining and a brown crepe sole unit. 'F' fitting. Arnold & Co in Sheffield, United Kingdom.